Our design went viral, winning global attention for our client. Knowing when to disregard convention can capture peoples’ imagination. 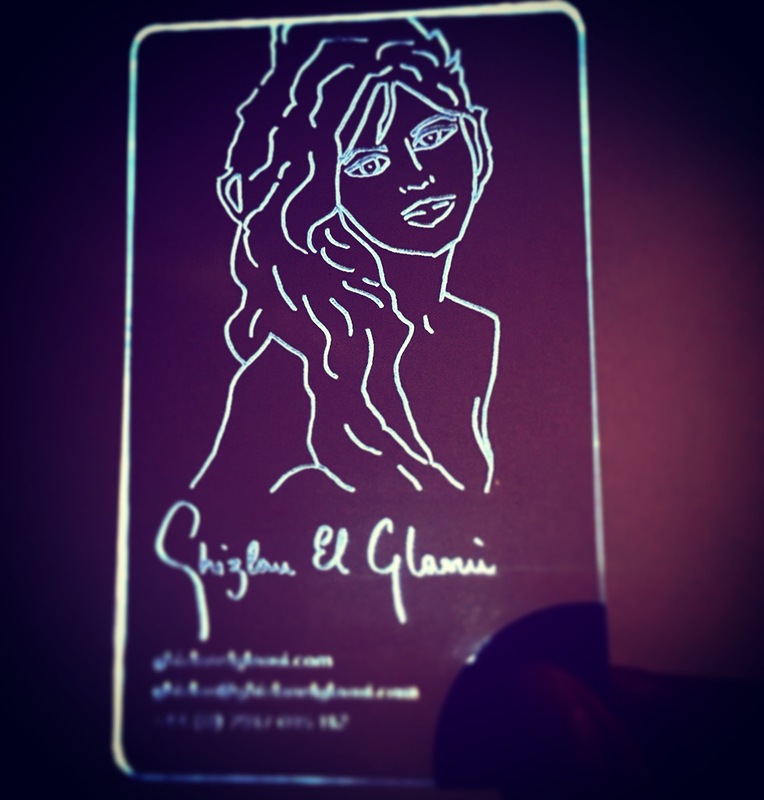 Ghizlan El Glaoui is a renowned artist who works with light. She wanted business cards that would be memorable – like a piece of her art. Our concept and design for artist Ghizlan El Glaoui garnered attention worldwide, featuring on Yahoo! News, Gizmodo, other news outlets and countless other platforms. An simple and quick iPhone video of the business card design was uploaded to youtube – it got over 30,000 views. Recreating one of her pictures using lines, the design was laser etched onto clear acrylic. Using a technique called ‘total internal reflection’ – the design is barely visible until the corner of the card is squeezed, triggering the LED and lighting the design up. The project went viral and received a huge amount of free PR because the concept was so original and perfect for the brand. Understanding people and knowing when to disregard convention captures the imagination. It’s how we win attention and keep it.